Autumn Meeting 2013. Talks on alopecia, and Imhotep. We have another fantastic evening event coming up on Tuesday 3rd December. 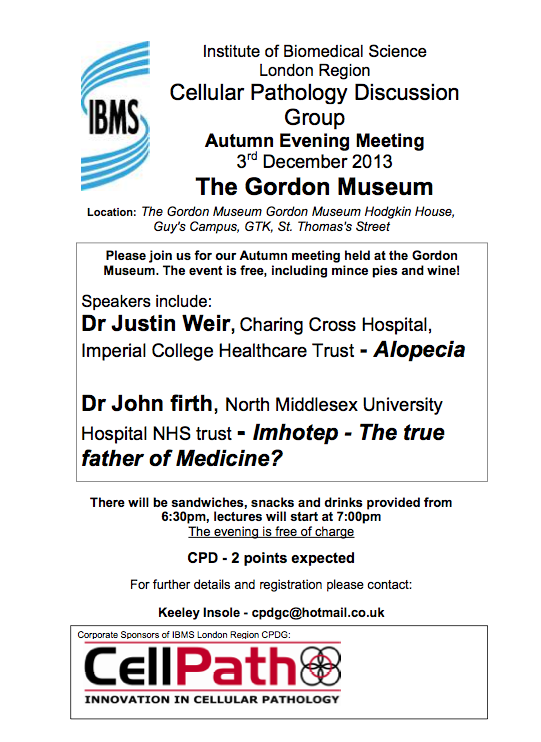 Here is what we have in store for you this Autumn at the incredible Gordon Museum. Previous PostIssues With Tissues 2013 ProgrammeNext PostSpring Meeting 2014. Talks on lymphoma.